Les Passions de l’Ame, Robin Johannsen, Meret Lüthi. Deutsche harmonia mundi / Sony Music 88843040882. 60’06. Corelli La Follia; Geminiani ‘The Enchanted Forest’; Handel Armida abbandonata. I praised the début CD (‘Spicy’, Deutsche harmonia mundi 88883748742) from the Swiss violinist Meret Lüthi and her Bern-based period-instrument orchestra, Les Passions de l’Ame in my review in Early Music Review (February 2014). I am equally impressed with their second CD. As with ‘Spicy’ they have produced an imaginative programme, in this case combining two pieces linked to the story of the crusader Rinaldo and his doomed love affair with the sorceress Armida, as told by Torquato Tasso in his La Gerusalemme Liberata. After the opening salvo of Corelli’s La Follia variations, intended to represent the wildly contrasted emotions of Armida, we hear the first part of Francesco Geminiani’s orchestral suite ‘The Enchanted Forest’ (La Foresta Incantata), incidental music written for a 1754 pantomime ballet in the Grand Théâtre du Palais de Tuileries in Paris based on Tasso’s story. We do not know how the music would have been performed in the original production, as all that survives is this two-part suite, a collection of dance-like pieces of varying length and mood. 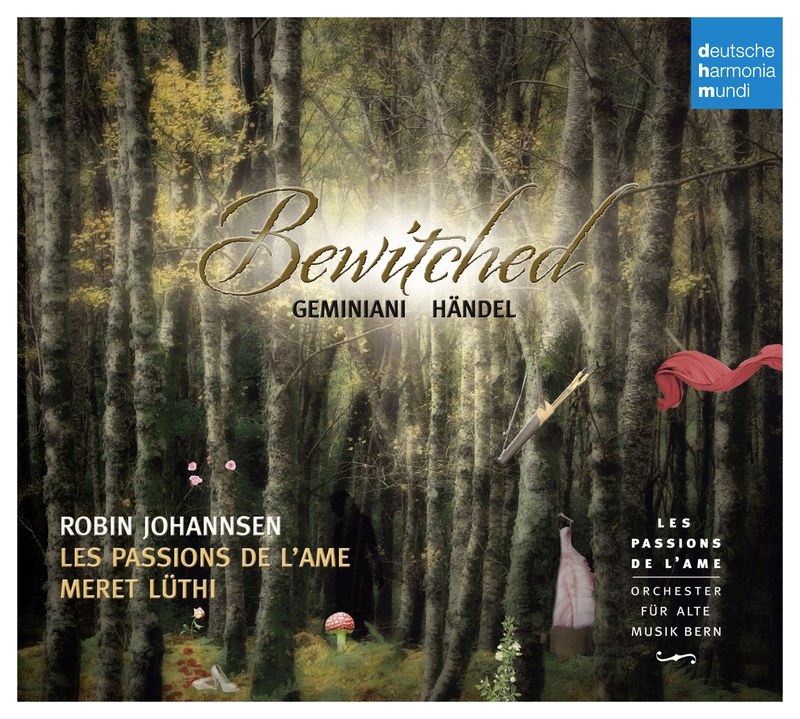 After the first part of the Enchanted Forest (in d minor), we hear Handel’s c1708 take on the story, the dramatic secular cantata Armida abbandonata (Dietro l’orme fugaci, HWV 105) for solo soprano, sung by the American soprano Robin Johannsen. I was impressed by Robin Johannsen when I first heard her in Hasse’s Romolo ed Ersilia at the 2011 Innsbrucker Festwochen der Alten Musik. Her singing is beautifully clear and focused, with a sensitively honed vocal timbre and an effective use of ornaments and da capo elaborations and the occasional use of a very gentle vibrato to colour the notes. She captures the contrasting moods of Handel’s exquisite cantata to perfection. The opening accompagnato is interesting for having the continuo accompaniment provided by the solo violin alone, played by the director of Les Passions de l’Ame, Meret Lüthi. We then return to the D major second part of The Enchanted Forest, the sensuous and subdued opening very effectively continuing the desolate mood of the Siciliana at the end of Armida abbandonat, before the full orchestra, with trumpet and horns blazing, takes over. The central part of the second half is a dramatic multi-section piece that could be a mini-opera in its own right. The playing of the 19 musicians of Les Passions de l’Ame is excellent, and is combined with sensitive continuo accompaniment to the Handel. Merit Lüthi directs from the violin with an impressively light touch, bringing out both the Italian and French influences in Geminiani’s music. At the time, Charles Burney thought he was too French, and the French thought he was too Italian! Today we appreciate the benefits of both musical styles. < Previous HANDEL ORGAN RECITAL. St George’s, Hanover Sq. 7 April 1:10.